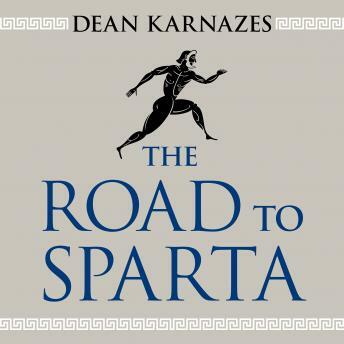 The Road to Sparta is the story of the 153-mile run from Athens to Sparta that inspired the marathon and saved democracy, as told-and experienced-by ultramarathoner and New York Times bestselling author Dean Karnazes. In 490 BCE, Pheidippides ran for thirty-six hours straight from Athens to Sparta to seek help in defending Athens from a Persian invasion in the Battle of Marathon. In doing so, he saved the development of Western civilization and inspired the birth of the marathon as we know it. Even now, some 2,500 years later, that run stands enduringly as one of greatest physical accomplishments in the history of mankind. Karnazes personally honors Pheidippides and his own Greek heritage by recreating this ancient journey in modern times. Karnazes even abstains from contemporary endurance nutrition like sports drinks and energy gels and only eats what was available in 490 BCE, such as figs, olives, and cured meats. Through vivid details and internal dialogs, The Road to Sparta offers a rare glimpse into the mindset and motivation of an extreme athlete during his most difficult and personal challenge to date.